Address: 800 West Central Texas Expressway, Killeen, TX 76541. Welcome to our Killeen Emergency Center and ER. We are open 24 hours every day to meet all your family’s emergency medical needs. Our emergency room provides top-of-the-line emergency medical care to residents and business around Killeen. Come to our emergency center – we guarantee you will be in and out quickly. We take pride in providing quality care with little to no wait time. 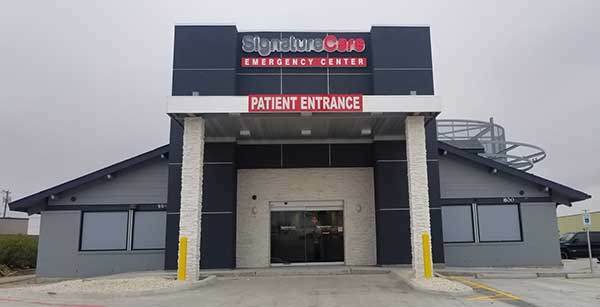 SignatureCare Emergency Center’s board-certified physicians are always available to diagnose your medical emergency, moments after you arrive in our ER. Our Killeen emergency center is equipped with private specialized pediatric treatment rooms for infants and children. Our state-of-the-art emergency center provides medical care for most minor and major medical emergencies including injuries, trauma, cardiology, OB-GYN, and more. Our ER also provides testing for most common sexually transmitted diseases (STDs) like chlamydia, HIV, gonorrhea and syphilis. We have top-quality in-house labs, multi-slice CT scanners, X-rays, and ultrasound equipment and we are conveniently located on West Central Texas Expressway, easily accessible from any part of Killeen. To see the ER closest to you, enter your zip code below.